Rock falls and gas explosions within Halemaumau Crater caused the ash plume. 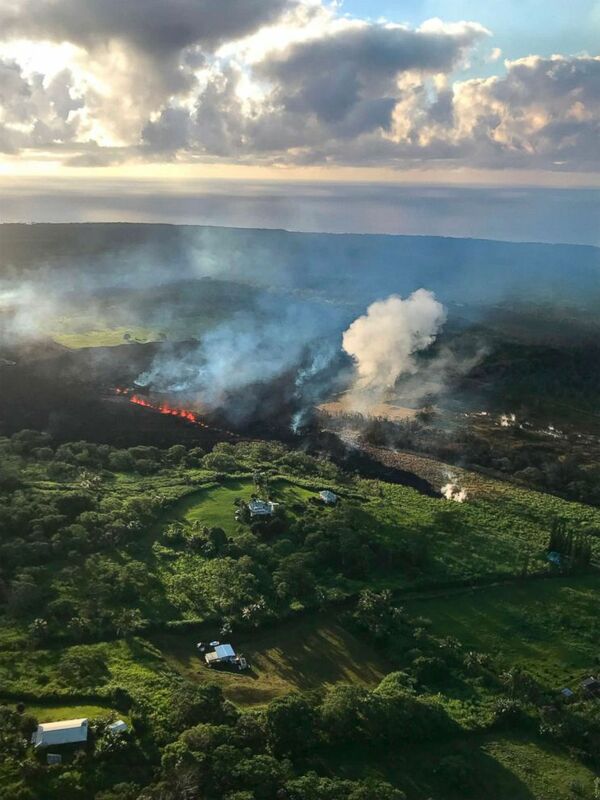 Rock falls and gas explosions within Halemaumau Crater caused the ash plume, the Hawaii County Civil Defense Agency said in a Facebook post today. The plume also signifies that residents of the Big Island “need to expect that it will become more explosive," Rick Hazlett of the USGS told ABC News. (USGS Volcanoes) The Kileaua volcano in Hawaii sees new burst of volcanic ash, May 15, 2018. Excessive exposure to ash can make driving difficult and can irritate the eyes and respiratory system, so officials have also urged residents to minimize their exposure to it. This new burst of ash comes hours after the Hawaii County Civil Defense Agency said a new fissure has opened up on the Big Island, bringing the total number of lava- and gas-spewing cracks to 20 in the wake of the May 3 eruption. (Terray Sylvester/Reuters) Lava erupts from a fissure on the outskirts of Pahoa during ongoing eruptions of the Kilauea Volcano in Hawaii, May 14, 2018. 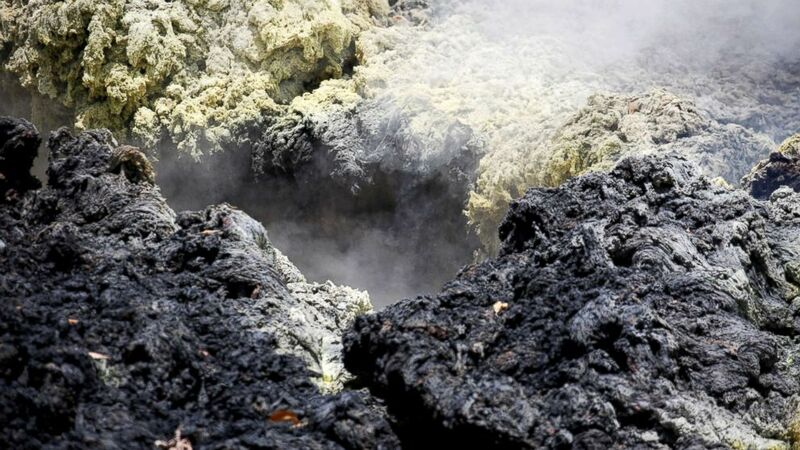 Officials Monday warned of "hazardous emissions of sulfur dioxide" in the Lanipuna Gardens subdivision. The air quality there has been evaluated as a "condition red," which means the air could pose an immediate danger, the Civil Defense Agency said in a post on Monday. The gases are especially dangerous for the elderly, children, babies and people with respiratory problems, officials said. (AFP/Getty Images) This image released by the US Geological Survey shows a fissure still erupting on May 14, 2018, and supplying lava to a flow that was still advancing at Hawaii's Big Island. Two new fissures have opened on Hawaii's Big Island, officials said on May 14, warning of more lava eruptions and gas emissions from the Kilauea volcano. (Terray Sylvester/Reuters) Volcanic gases rise from a fissure in the Leilani Estates subdivision during ongoing eruptions of the Kilauea Volcano in Hawaii, May 14, 2018. 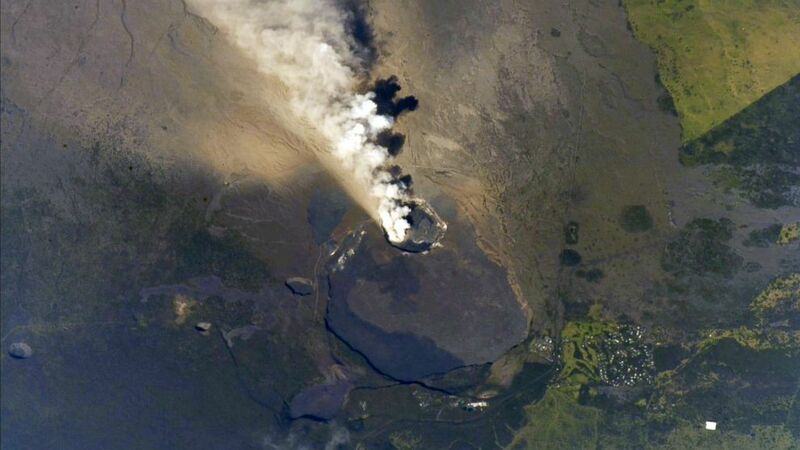 Following the May 3 eruption, which destroyed homes and prompted evacuations, smoke from the Kileaua volcano has even been visible from the International Space Station, according to an image posted by NASA on social media. President Trump declared a major disaster in Hawaii following a request by the state's governor. The order will make federal funding available to supplement state and local recovery efforts. 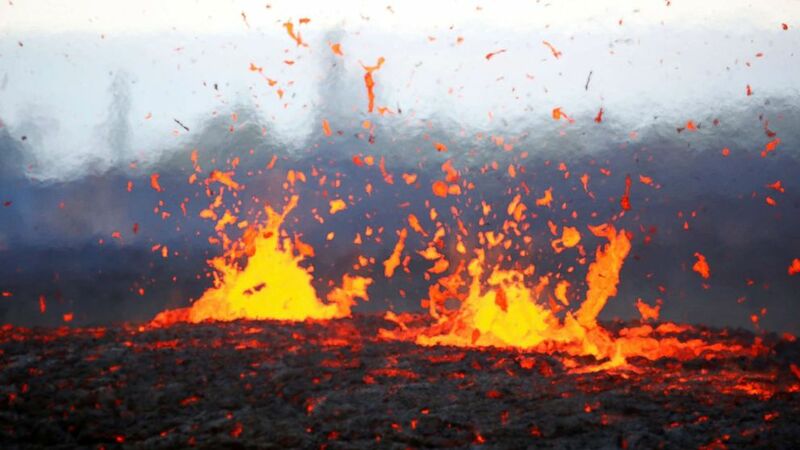 Hawaii declared a state of emergency on May 3, the day volcanic activity began. (Andrew J. Feustel/NASA/via Reuters) View of the Hawaii's Kilauea Volcano from the International Space Station in this undated image obtained from social media and tweeted on May 13, 2018.